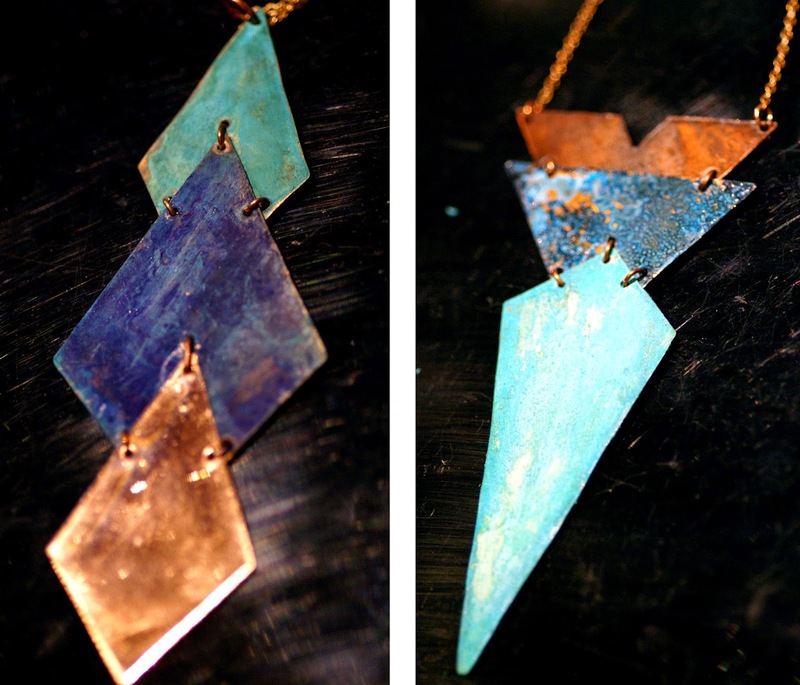 Making Metal Jewelry Masterpieces with Perfect Pairings & Patinas. Timeless Treasures Inspired by Design Decades from Years Past. When you think of the perfect marriage of Math and Science, does the Art of Jewelry Making come to mind? 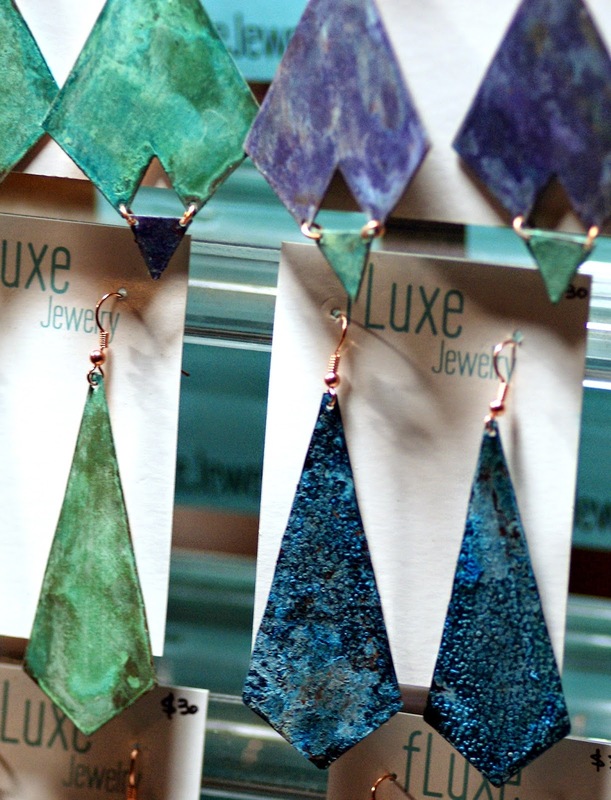 Perhaps not, but when you see the work of Kristen Kramlich of fLuxe Jewelry you’ll understand what I mean. She has found an incredibly unique way to mix Geometry and chemical reactions to render one-of-a-kind wearable Art. The majority of her pieces start as a sheet of copper that she cuts and shapes into fascinating geometric forms, some simple and modern while others are clearly inspired by more intricate designs of previous decades. Art Deco, for example, stands out as one source of influence for this artist’s vision. You’ll see this in the variety of angles and straight edges. She also cites the work of the Aztecs, Egyptians and other ancient civilizations as drivers of her style. In my opinion, it is the way she brings all of the these traditions together that makes her jewelry pop. You will see in it what is most meaningful to you! 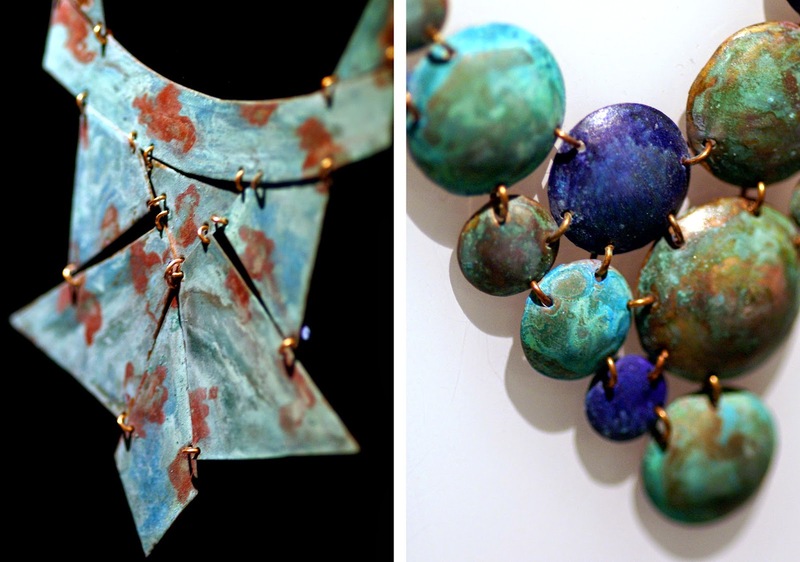 Kristen's earrings, necklaces and bracelets feature a mix of linked pieces, many of which she has colored through oxidation. 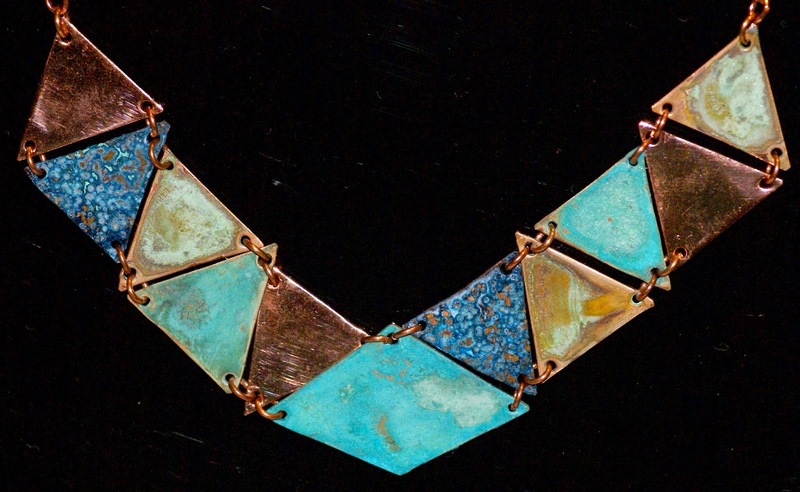 The patinas she produces give a wonderful vibrance with shades like turquoise and teal, but often also having a weathered feel. She is very artful in how she pieces everything together almost like little puzzles. 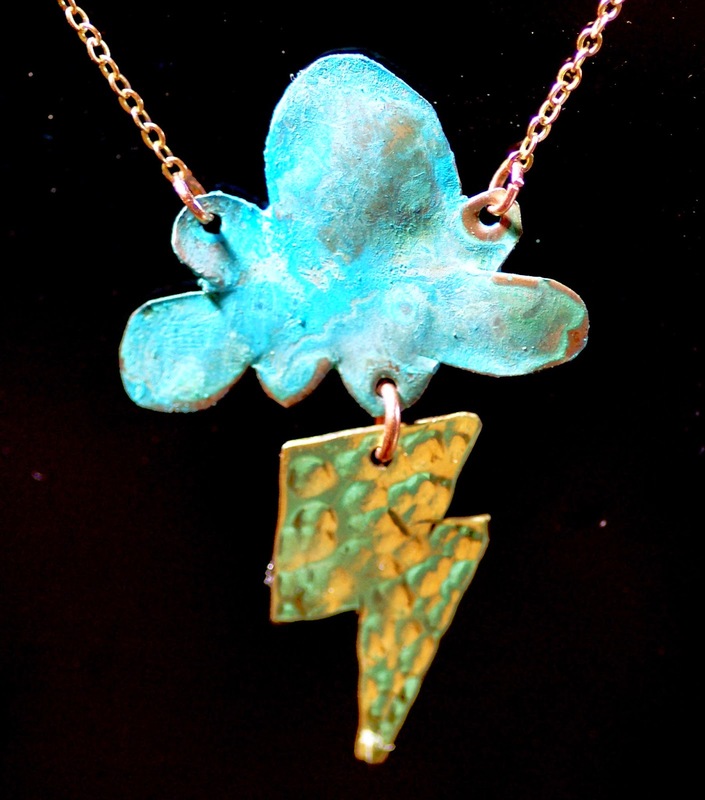 My personal favorite in her collection is what I imagine to be a happy storm cloud with bight copper lightning, but her other more abstract pieces are equally beautiful and inspired!